Adaptations of beloved books for the screen don’t always work all that well, and Lemony Snicket’s A Series of Unfortunate Events series never got any farther than one theatrical venture. Fans of the books never stopped hoping for the Baudelaire kids to get another chance at an adaptation, so confirmation of a Netflix series inspired by the works was great news. Now, even more fantastic news has been released: the role of narrator Lemony Snicket has been cast, and none other than Patrick Warburton will be bringing him to life. Patrick Warburton will narrate, as well as appear on camera, for the Netflix series, according to Deadline. Jude Law voiced the character for the 2004 feature film but did not appear in the flesh, so Warburton will certainly have no trouble making the role his own. He’s no stranger to bizarre projects or voice work. Warburton starred as the titular Tick in the Tick superhero comedy, and he’s lent his vocal talents to everything from Family Guy to the Emperor’s New Groove franchise to Kim Possible. With his unmistakably deep voice, Patrick Warburton may well be the perfect person to bring Lemony Snicket to Netflix. Warburton joins a cast consisting of Neil Patrick Harris, Malina Weissman and Louis Hynes for this project that will follow the tale of the orphaned Baudelaire children as they investigate their parents’ deaths and try to avoid villains and pitfalls along the way. The series is set to run for only eight episodes as of now, so there’s no reason why Warburton should have any trouble juggling A Series of Unfortunate Events with his new NBC sitcom Crowded. He’ll be directed on the project by Barry Sonnenfeld, who is probably best known for his work with the Men in Black franchise and the Addams Family films. 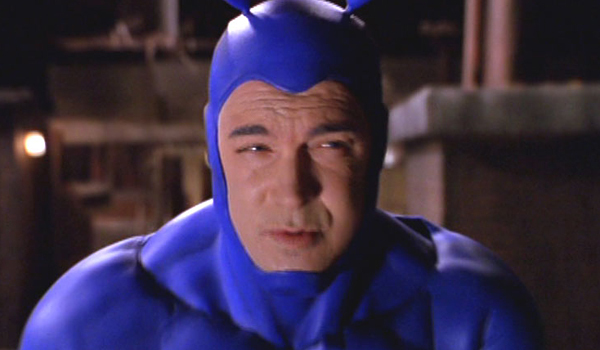 As it happens, Sonnenfeld also directed the pilot of The Tick, so it was perhaps no coincidence that Warburton nabbed the role of Lemony Snicket for the series. The show will be run and executive produced by Mark Hudis, of True Blood and Nurse Jackie fame. In a fun twist, the real Lemony Snicket – also known as author Daniel Handler – will be on board for the adaptation as well, so Patrick Warburton shouldn’t have too hard of a time if he needs guidance on his character. There’s no word just yet of when we might get to see the Netflix adaptation, but Patrick Warburton being cast in a major role is definitely reason to get excited. Between Warburton’s acting chops that will undoubtedly result in a killer performance as Lemony Snicket and the fabulous source material, A Series of Unfortunate Events may turn out to be one of Netflix’s most successful original series to date.